This past year I have been following a handful of food blogs and was so inspired that I thought I would explore the blog world myself, as a blogger. 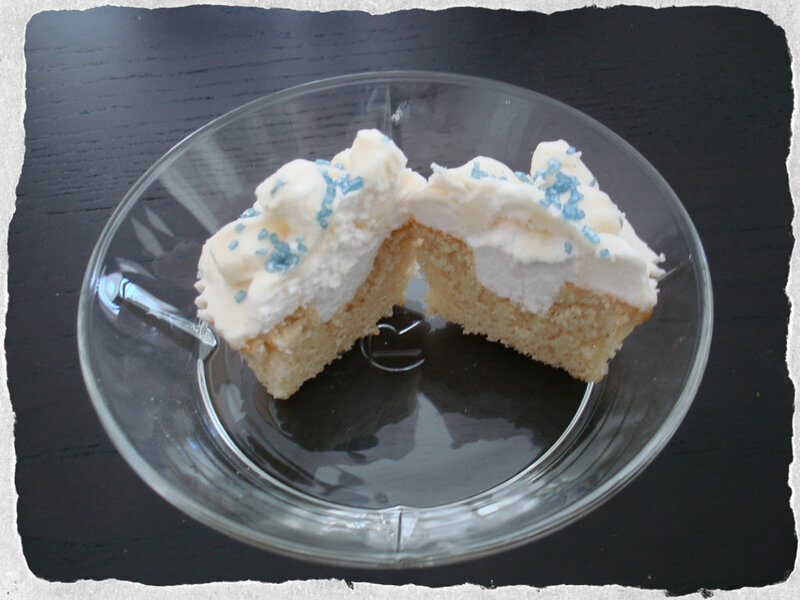 I began to think about the recipe that would be my first on the blog. Lately I have been using Hummingbird Bakery’s cookbook every time I was in a baking mood, so naturally today’s recipe come from that book too. 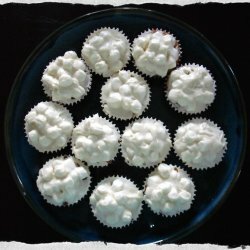 I have chosen their marshmallow cupcakes, they look so delicious and I happen to have bag of mini-marshmallows in the cupboard. Whisk flour, sugar, baking powder, salt and butter together. Add half of the milk and whisk until consistency is even. In a separate bowl, beat eggs, vanilla extract and remaining milk together quickly. Add egg mixture to the flour mixture. 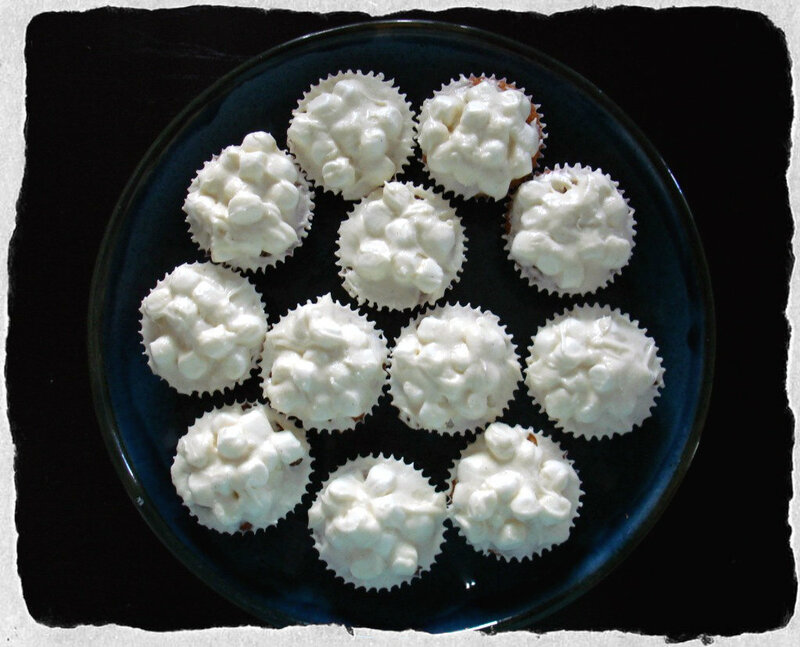 Fill paper molds two-thirds with the batter and bake in the preheated oven for 20-27 minutes or until the cupcakes are light golden. I always use an ice cream spoon to fill the molds, it fits perfectly. Let the cakes cool in the molds and then turn them out onto a rack where they cool completely. 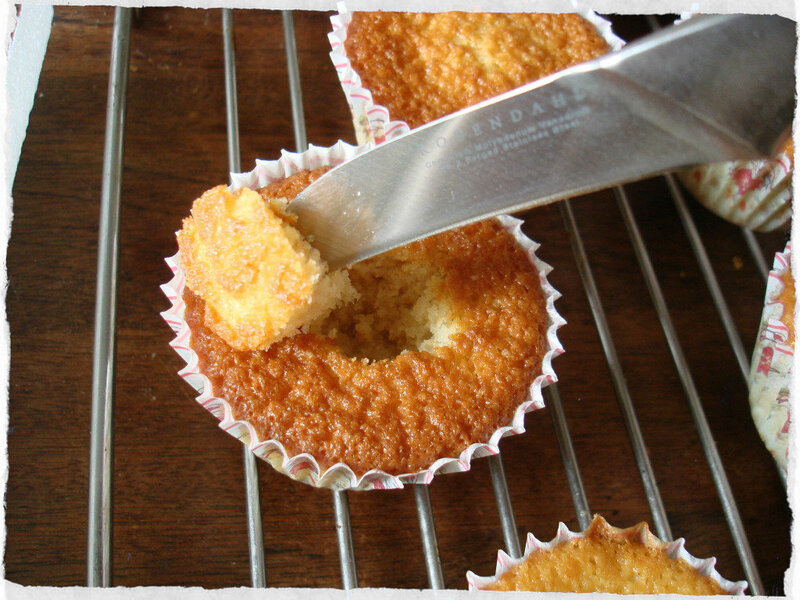 When they have cooled down, cut a small hole in the center of each cupcake. 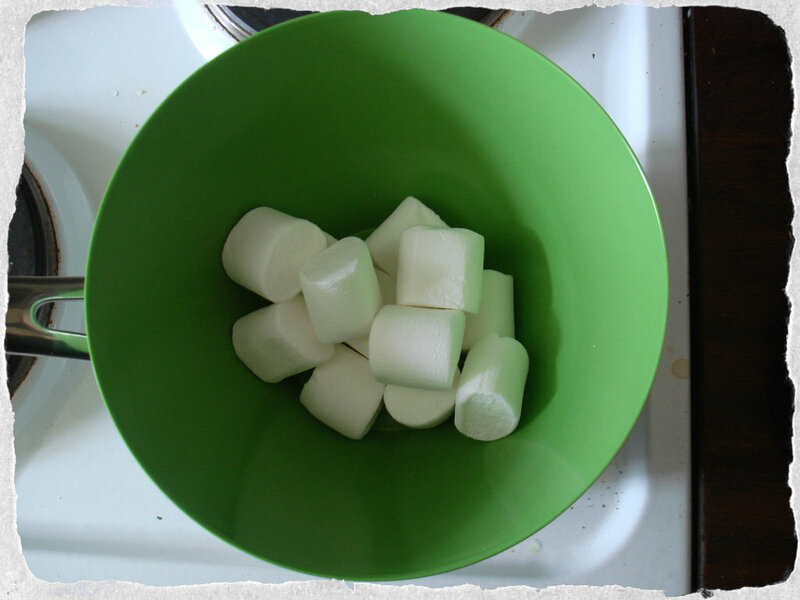 Put the medium marshmallow in a bain-marie and allow to melt completely. You have to be patient and it’s smart to have a cup of water next to the stove where you can have your spoon or spatula – whatever you use. It makes it a bit easier to work with the melted marshmallow. 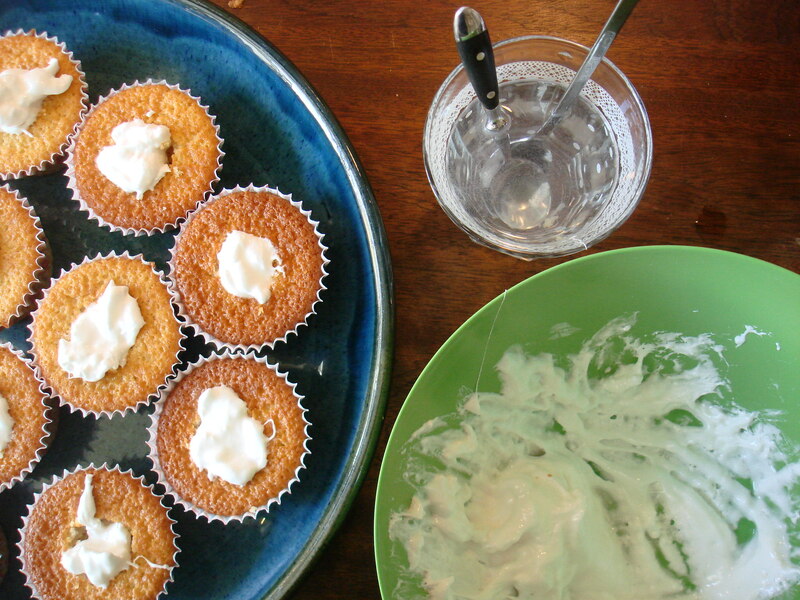 Fill the cakes with a dollop of melted marshmallow. Let it cool again. 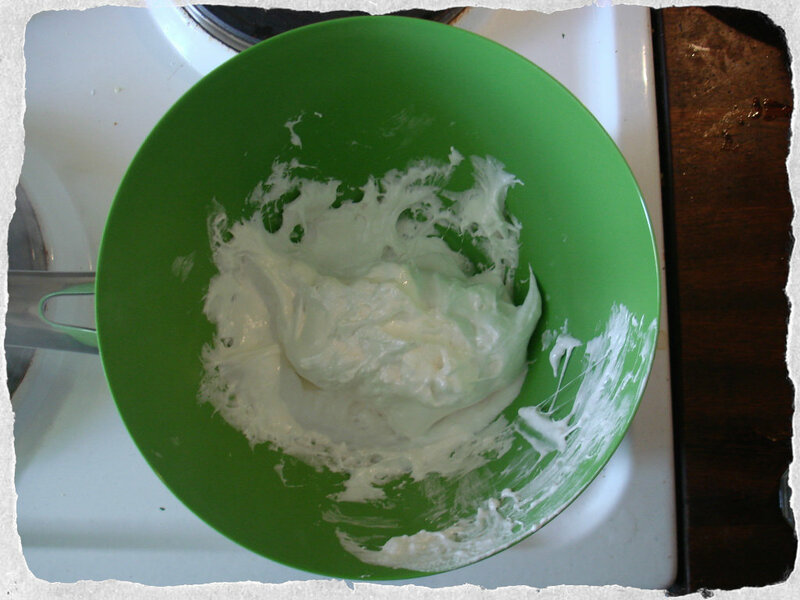 I think that you could use Marshmallow fluff just as easily, I just wanted to follow the recipe completely the first time. Beat icing sugar and butter together well. Add milk and vanilla extract a little at a time. Continue beating the frosting a few more minutes. 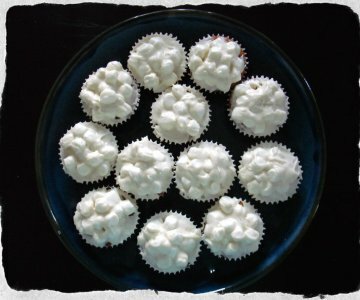 Add the small marshmallows in the frosting with a spoon and finally decorate your cupcakes with the frosting. Hiya, I am really glad I’ve found this information. Today bloggers publish only about gossips and web and this is really irritating.